Tri-fold premium cotton golf towel with grommet and hook. Made with 100 percent cotton with plush velour finish. The fun design features a green with the words, I like big putts. I cannot lie! You are welcome to customize thread colors, if you'd like. Just send me a message through the listing. 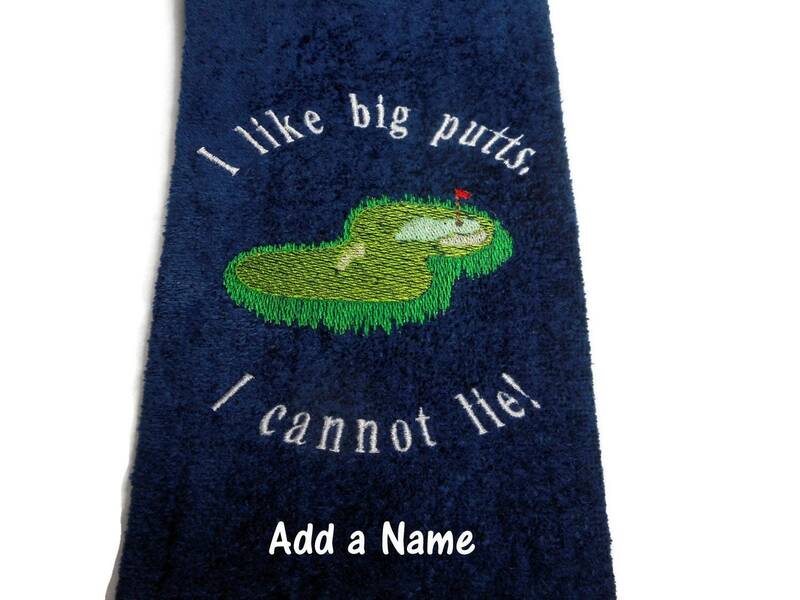 Generously sized towel measures 16" x 26" and has a center brass colored grommet and hook.